Alex Braczkowski, a big cat biologist and wildlife cameraman, has come up with an innovative way to study lion populations in Africa. 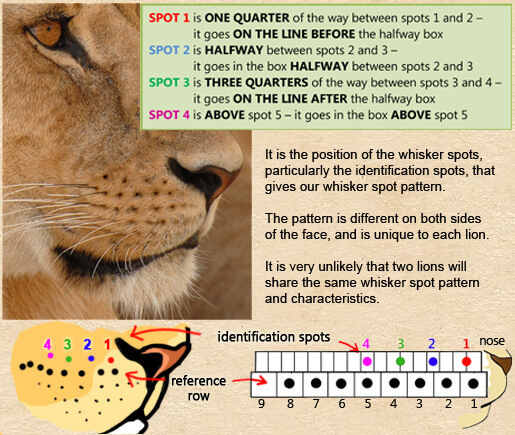 To get accurate data, Braczkowski has been counting not just lions, but their whiskers as well. Each whisker print is unique, like a human fingerprint, allowing him to better understand and track the health of these magnificent animals. Since many of the lions spend time perched high up in trees, Braczkowski has been using a new tool to get close enough, a Mavic Pro drone. We recently got the chance to chat with him and to share some of his work with the DJI community. What follows is an interview, lightly edited for clarity. For more background on his science, film, and photography, check out his website here. So, tell us a little bit about yourself. I'm from Durban, South Africa and I got into wildlife biology and film as an undergraduate at Nelson Mandela University. I was getting a degree in nature conservation and did a study of leopards. Since then I’ve published a wide variety of research related to these amazing cats, studying how they are impacted by trophy hunting and how they respond to the introduction of new scents in their territory. After school I did an apprenticeship with the renowned nature photographer Steve Winter. He taught me a ton about how to capture stunning portraits of these animals. Now I’m fusing film with my science. Well, in simple terms, I’m counting lions. My project started in October 2017 and it’s financially supported by a number of groups, namely National Geographic Society, the Scientific Exploration Society, the Siemiatkowski Foundation, and Rufford Foundation. The purpose of the project is to get the most accurate counts of carnivores on the border between Uganda and Congo in more than a decade. Lions are getting hammered across their range - mainly through snaring, conflict with cattle farmers, and poaching of their prey. There may be as few as 18,000 left in Africa, but no one really knows, and historically the surveys used have been very imprecise. What were the old survey techniques like? Researchers have used "call up" surveys. It's a process where lions are literally called in to a vehicle with an audio lure, usually of a dying buffalo, and counted. The problem is that these counts make certain assumptions about how far lions can hear and don’t take into account habitat level differences. You get similar problems when trying to regress the foot marks of lions to their true abundance. It areas where your ability to see tracks is good, for example in the desert, the relationship between tracks and lions may be decent. In the savanna, however, there is so much variance that the counts don’t make sense. I want to change that with my team. So how do you go about counting them? Counting African lions is one of the most challenging activities for a wildlife biologist. We need to get close, because we’re looking for something called a whisker pattern. Just like every human has a unique set of fingerprints, every lion has a unique whisker print, the number and arrangement of whiskers on their face. If we can get close enough to capture really detailed photographs, we can record the whisker prints, and then track these lions as they age over time. We analyze the images of the individual lions in a capture/recapture framework. We are using some of the most cutting edge statistical models, a Bayesian framework. To put that in laymen's terms, we capture lots of images, then break down who the individuals are with whisker count. In the years that follow we will use a statistical model to track these individuals and extrapolate the larger population size based on how they fare. The tricky part about capturing this whisker print is that lions can be elusive, hang out in dense habitats, and disappear at will when they want. 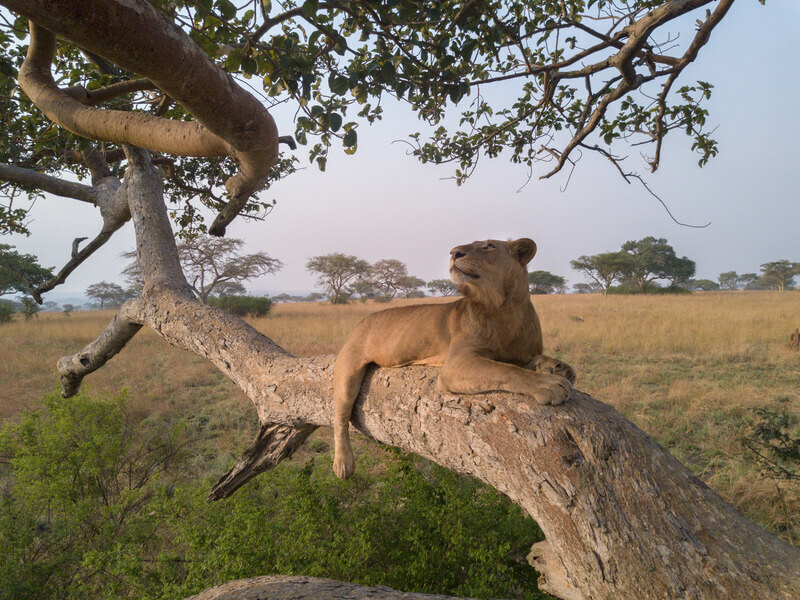 When filming my first TV special for National Geographic about counting these big cats in Uganda, I was faced with another unexpected obstacle: lions that climb and hang out in trees. Driving around looking for them gets a lot more challenging when they are hidden way up in the branches. 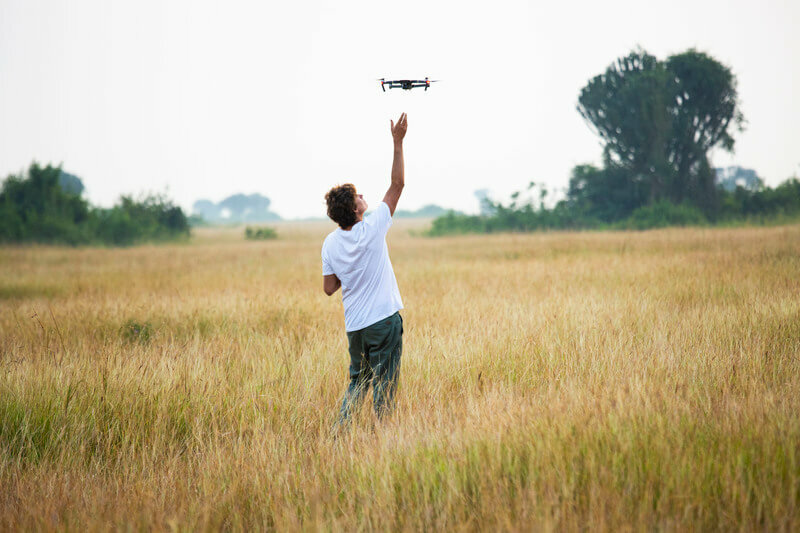 The advent of drones has changed all that. It lets me get close to lions, even in trees, without getting close myself. That keeps both the lions and the pesky humans like me much safer. It’s become a critical tool for getting the lion whisker spot patterns I need for my PhD and film work. The lions don’t mind the drones? As scientists, we have to strike a balance. We want to leave the animals undisturbed, but we also see our work, and our research, as vital to understanding and protecting them. So I will tranquilize an animal and attach a tracking collar if that means we can better understand it and keep it safe from poachers and other threats. After a few simple habituation sessions, where I would fly the drone 40 meters away from the lions to get them used to the noise, I could get to within a few meters of them without disturbing them. That let me get high resolution images of the lion's faces for my count. 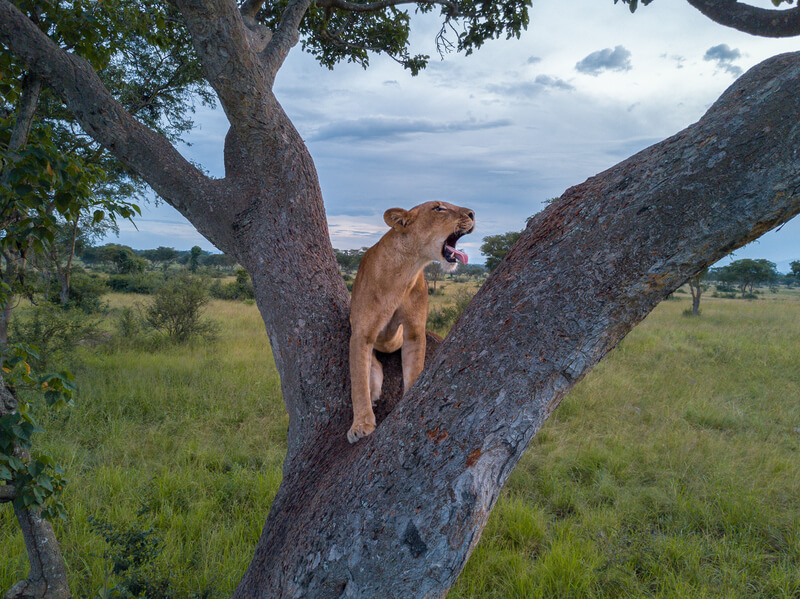 The Mavic Pro is about the size of a small yellow-billed kite, 730 grams, so the lions quickly came to think of the drone as a small, noisy bird. Not only did I get some incredible photos of the lions, I also managed to get some video of their incredible tree climbing behavior. One particular lion that was important in testing out this technology was Jacob, a young male of about 3.5 years of age. I was able to show what a lion sees everyday from the heights of the canopy! I’ll be testing out the new Mavic 2 on the lions in the future, especially with the zoom function, which should allow me to get closer to the lions than before. What is the ultimate goal? What outcomes would you like to see as a result of your data collection? I want to highlight the importance of getting good data for establishing how lions and other large carnivores are doing in an area. Individual identification is a key step in that process. That way we can keep track of key individuals each year, examining how the population fluctuates and why. Drones, and especially small drones like the Mavic, have made this possible in new and exciting ways.